Flavored carbohydrate gel with added sweetener. SiS designed the world's first isotonic energy gel to be clean in the mouth and easy to digest. Our patented product means it delivers energy fast without the need for extra water for when you need a fast, convenient energy boost. Winner of the Queens award for enterprise, this innovative product continues to be seen at the forefront by endurance athletes. Use during endurance sessions and events to help avoid crashing. Our award winning gel technology delivers fast energy with a caffeine boost that's easy to take. SiS GO + Caffeine is clean in the mouth and easy to digest. When you want an energy boost, but want the benefits of caffeine too. Use before or during an activity for added physical and mental focus when you want to get an edge. Flavored maltodextrin gel with caffeine and added sweeteners. 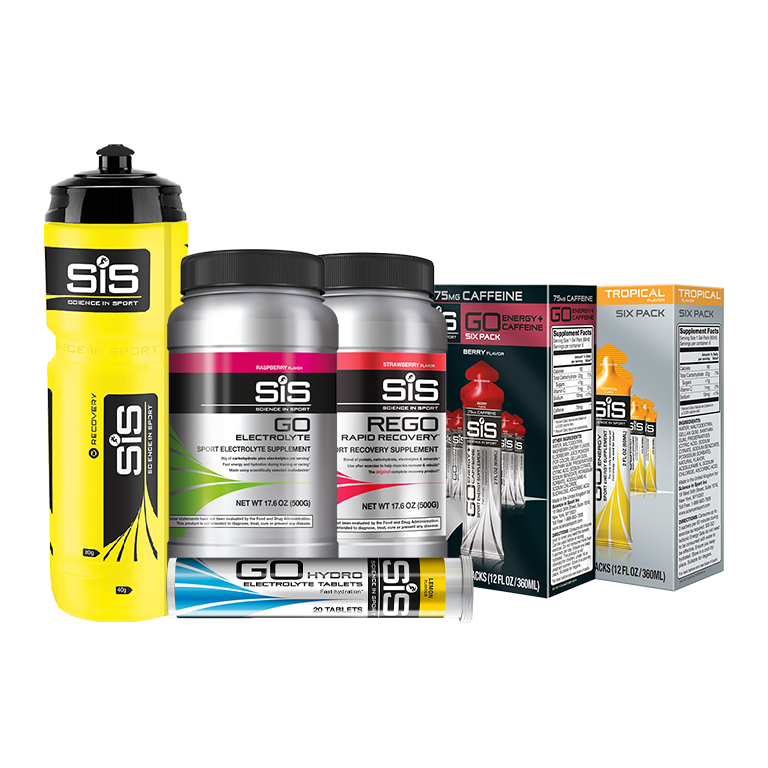 SiS GO Electrolyte gives you energy fast and contains balanced electrolytes to enhance your body's ability to absorb water, maintain endurance performance and protect against cramps. Use before to prepare and during an activity when you are sweating heavily. During moderate to intense exercise, we can produce up to 2 liters of sweat per hour depending on the environmental conditions. Sweat contains vital electrolytes, including sodium. Sodium is the most important electrolyte as it helps to stimulate thirst, improve taste and promote absorption and retention. When you are in a training program and need your body to adapt to increasing demands. Taste is key, and SiS has the key! Value for money,I suggest it with no second word! Great product. Gems are awesome! Nice variety, recovery mix, and a good bottle. Everything you need. Great products, good flavors, fair prices.